This faculty-led summer program gives students interested in business and related topics the chance to explore Latin-American business culture while engaging in Spanish language study and visiting a wide variety of businesses and organizations around Costa Rica. Internship options are also available. This program focuses on various elements of the international business environment, such as economics, politics and regulation, competition, socio-cultural issues, technology, and physical environment. Special emphasis will be placed on topics like social entrepreneurship, environmental sustainability, sustainable development, energy production, eco-tourism, CAFTA and national competitiveness. To gain a perspective of these aspects, a comparison will be made to selected Central and South American countries. 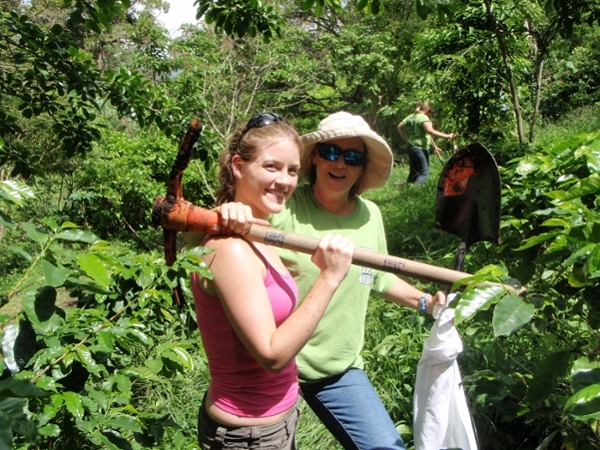 Students will attend class sessions prior to departing as well as class sessions while in Costa Rica. The core of this program includes a tour of different regions of Costa Rica. Students will engage in site visits to International and local business enterprises, sustainability initiatives, cooperatives, eco-tourism initiatives, U.S. and Costa Rican government offices, and historical and cultural sites; and will attend guest lectures by area specialists. Students will experience language and cultural immersion via daily study of Business Spanish and homestays. Program logistics, housing, Spanish language courses and student support will be provided by CPI, a well-established language institute in Costa Rica that works with a number of US institutions to provide quality study abroad programs. Students on this program are responsible for booking their own flights. Dr. McInnis-Bowers and IP will provide a specific arrival timeframe and students should arrange to arrive before or during that timeframe. Students will be met at the San Jose airport and taken to the first program location. Internship Extension: In addition to INB 390F, students will have the choice to extend their program by adding an intensive, full-time 5-week business internship for 4-credits after the conclusion of the 4-credit INB course. The internship course is graded C/NC and is only available for INB and BSE majors. Students will complete academic components online in order to receive credit. Dr. Cecilia McInnis-Bowers, Professor of International Business at Rollins, will teach the 4-credit INB course and organize internship placements for students. She will be in Costa Rica to assist students with all aspects of the program during the initial three weeks. Additional Staff On-Site: Additional student support and housing coordination are offered by CPI, an excellent language institute in Costa Rica. Students on the extended internship track will be supported by staff at CPI after Dr. McInnis-Bowers departs Costa Rica. Students will spend the first night of the program in a hotel before moving to the first homestay in the Heredia region. Students will remain at the first homestay for several nights, before transitioning to a second homestay family in the Monteverde region of Costa Rica. During the final days of the program, students stay in hotels as they are engaged in touring different parts of Costa Rica. Students who choose to stay in Costa Rica for the internship extension will return to a homestay for the remaining time in Costa Rica. Most breakfasts and meals will be provided by the homestay family. In addition, a welcome dinner and several group lunches (about five total) are included in the program price. Students who choose to stay in Costa Rica for the internship extension will continue to receive their meals at the homestay during the remaining time in Costa Rica. Activities vary year to year but may include visits to a variety of companies, a visit to a typical, functional small farm, a canopy tour in a cloud forest reserve, a Latin-American cooking class, a Latin-American dancing class, a hike in Manuel Antonio National Park, a presentation about indigenous communities in Costa Rica and volunteer projects. In addition, all students will have the opportunity to engage in the typical activities of daily life in Costa Rica through their homestay experiences. No Smoking Policy: Please note that there is a strict no smoking policy for the Costa Rica INB program. No smoking is permitted in any of the program facilities including classrooms, vehicles, housing, during program activities, etc. "I learned that I take things for granted in the US, and this culture has really opened my eyes up to it. I learned more about businesses in this country and I think I want to get into marketing. I really liked how there were three different layers to the trip. We got to see how life is like in the city, the mountains and the beach areas. Where else would you be able to do that? We were able to see the differences or similarities between families and I will always remember my homestays. It was a great experience that I want to do again. I learned that I can go out of the country, not knowing anyone I'm with, barely speaking the language and survive. To me, that is such an accomplishment and I am so proud of myself and everyone I went with. I really was immersed in the language and culture and became a Costa Rican. I will never forget that. It is going to be so weird going back to the USA. I feel like I became a different person and I wonder how things are going to change for me back home. I feel like I am a better person now because of this trip. It has opened my eyes to the culture of the Ticos and the Nicaraguans, and what it is like to be an immigrant." Watch a Video Students Made about this Program! Tuition and program administration, internship placement and supervision (for the internship track), housing, most meals, activities and excursions, on-site transportation between 5/16-6/4), and health and emergency insurance.